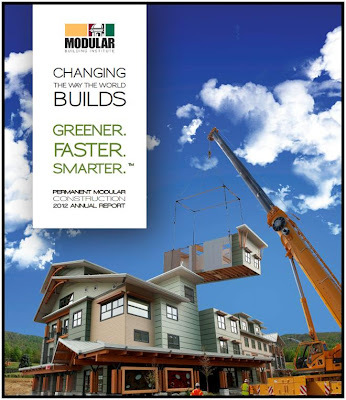 The people that work in the commercial side of the modular industry seem to be so much more involved in it's overall success than the people on the residential side of modular. The MBI is a great organization with good leadership. Most of the commercial modular factories have very colorful and inviting websites. Many of them also have blogs. It's not that they are any better or smarter than their residential siblings, it's just that they have come to realize the benefits of working to a common goal with more gusto than the residential side of our industry. Will the housing side ever come alive and be a force like the commercial side has? Absolutely! I can see the stirrings happening already. Many of the factories are beginning to use social media and have put direct response to their websites into practice. It won't happen for the housing side today but it will happen soon.